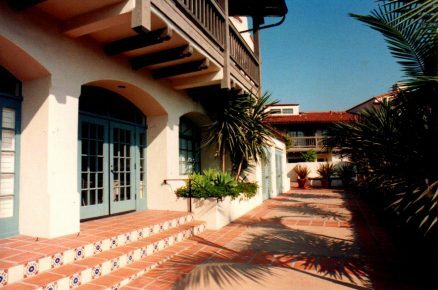 Arlington Court, SB - Lawrence Thompson Architects, INC.
"A Mediterranean quad on a dias"
This Spanish Colonial project at 1332 Anacapa Street, Santa Barbara, received a "Commercial First Place Award" by Santa Barbara Beautiful. 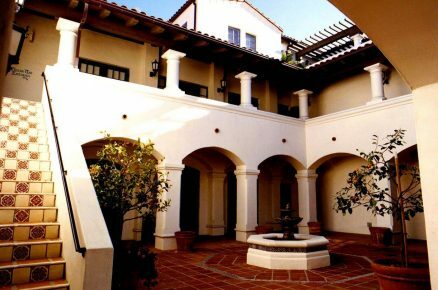 Several large courtyards, wooden balconies and underground parking serve 20, 000 sf. 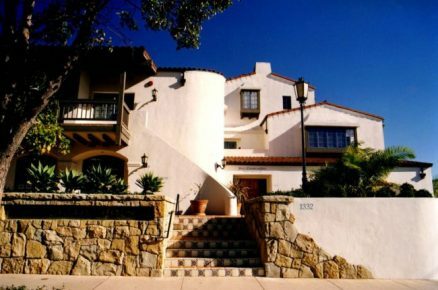 of offices and seven two bedroom residences. 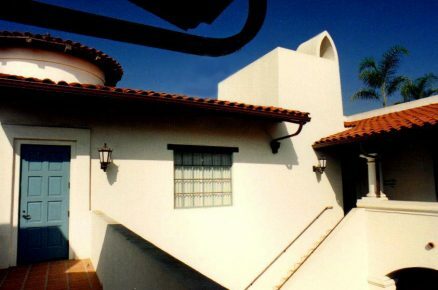 The commercial building has abundant daylighting and balconies on all sides and a Paseo on the south leads to townhouses at the rear of the site. 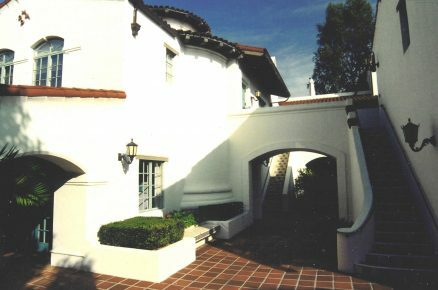 An arched paseo off Anacapa Street leads to a large plaza, fountain and decorative stairs to the upper floor. Viola Constructors, Contractor.